Sandos Caracol Eco Experience Resort is an all-inclusive Hotel in Playa del Carmen. Located on a beautiful unspoiled white sand beach in Riviera Maya, Mexico only 45 minutes from the Cancun International Airport and just 15 minutes from downtown Playa del Carmen. Designed for nature-lovers and explorers, this hotel in Playa del Carmen lies in the middle of a lush green area at the edge of an exotic jungle, surrounded by cenotes, mangroves and natural lagoons: an ecologically-rich environment for those who dream about a beautiful beach escape. Sandos Caracol is also a family-friendly hotel, offering adventure with your children with key features such as a water park and a Kid's Club. In addition, this Riviera Maya hotel boasts gorgeous gardens, delicious a la carte restaurants, tennis courts, nightclub, and wedding facilities. If you love nature and animals and wish to explore the turquoise waters of the Mexican Caribbean, Sandos Caracol is a wonderful vacation destination. 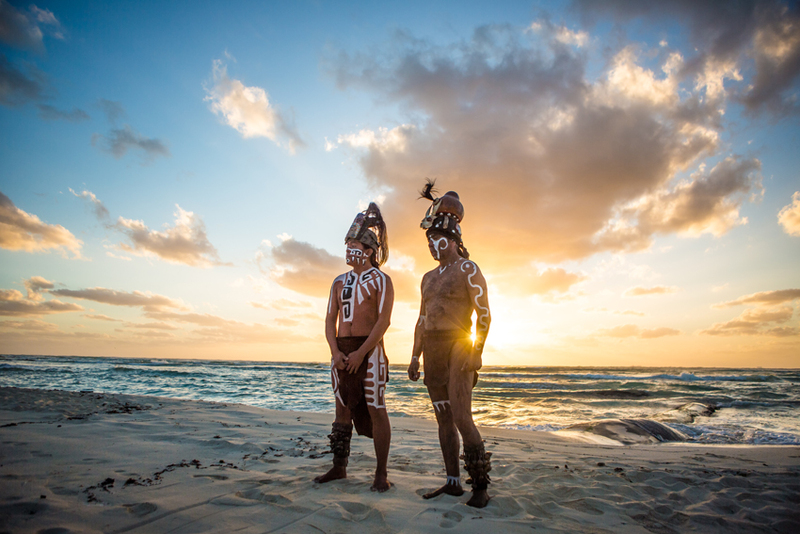 Sandos Caracol Eco Experience Resort is proud to offer the Xcalacoco [ishka ́la ́ko ́ko] Experience, a unique interactive program that allows guests to discover the Mayan culture on distinctive natural surroundings. At Sandos Caracol Eco Experience Resort, Xcalacoco is a way of being, living and thinking. Weekly activities program include daily eco tours focused on a different topic each day, nature trails that allow guests explore the Mayan jungle, morning jog in the jungle, and meditation sessions on the beach. Witness Mayan representative ceremonies and transport to yesteryear with a tale as old as time. Visit a Mayan herb garden, plant indigenous plant species significant to the Mayan culture, and participate in natural treatments and ancient rituals at the Spa. Through adventures in nature and environmental activities, we encourage all of our guests to reconnect with nature, respect the planet and engage in ecologically sustainable practices. 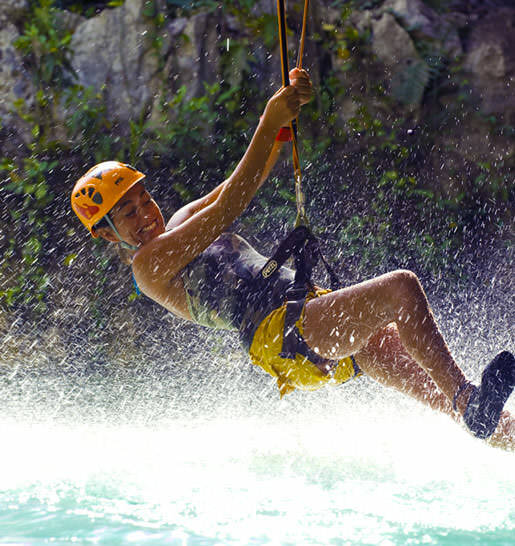 Xplor Park: The jungle comes to life in the best adventure Park in Riviera Maya. Xplor Park is a unique underground world where you will enjoy unparalleled adventure. During the day fly between trees and bridges, discover amazing caves and extraordinary rock formations; and at night, the moon and stars will guide your way as you marvel at the mysteries that Xplor Fuego has for you. 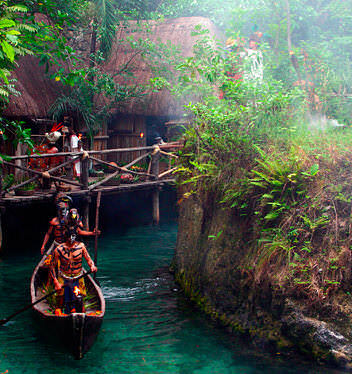 Xcaret: We invite you on a journey through Mexico, a charming tour of traditions and nature at Xcaret eco-archaeological Park. Come and enjoy an unforgettable experience that includes entertainment, exquisite food and the joy of a country that welcomes you with open arms! 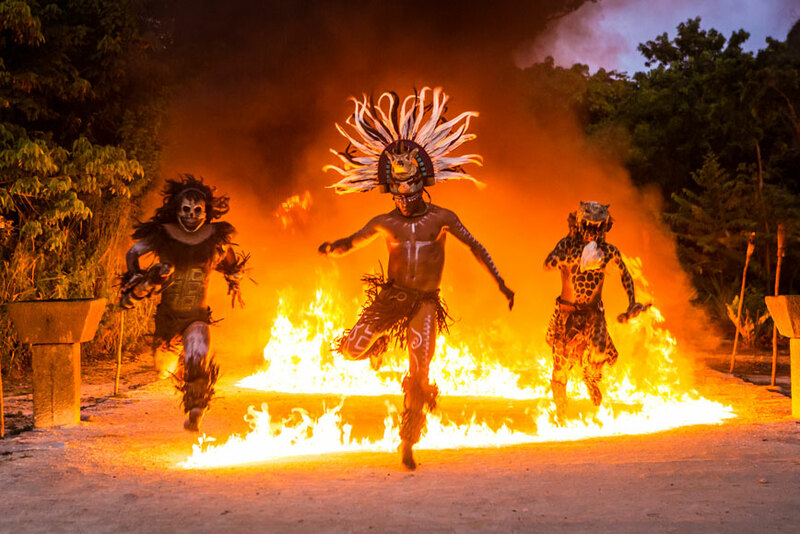 Delve into the trails of Xcaret to discover how the Mayan jungle and culture of Mexico combine in more than 50 exciting attractions. 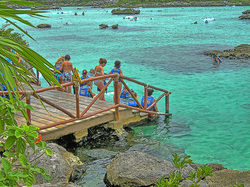 Located on the seashore near Cancun in the Riviera Maya, Xcaret has attractions for everyone. Enjoy a traditional Fiesta Charra and the Mayan Ball Game, or if you are a nature lover visit the Jaguar Island and our colorful Butterfly Pavillion. Xel-Há: Regarded as one of the world’s greatest natural wonders, Xel-Há provides one of the best experiences in the heart of the Riviera Maya. Practice snorkeling and see hundreds of colorful fish and a great diversity of marine species that inhabit its cove and cenotes. At this All Inclusive Park you can enjoy water activities, ecological attractions, restaurants and the best scenery to admire while you relax in a hammock or stroll the nooks and crannies of Xel-Há. Come and immerse yourself in one of the cenotes, lagoons or caves, and enjoy the aquatic zip-lines you’ll only find at Xel-Há. 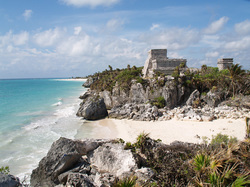 Tulum Ruins: Tulum holds the honor of being the most picturesque archaeological site in the Riviera Maya and the only one to have been built overlooking the ocean. A visit here offers spectacular views of the Riviera Maya beaches, Caribbean Sea and surrounding coastal region. Times to be advised at a later date. *If you are travelling from a different city please inquire for rates! + optional insurance is due at time of booking. Please Submit Your Information Below and Raelene Will Contact You! All Inclusive- If your age is 50 or younger, the premium is $174 per person, based on double occupancy. If you are over 50 years of age or travelling as a family with children, ask us for a quote! * Up to same class fare to catch up with the trip if your flight schedule changes, causing a misconnection. * Up to $300 per day for hotel and food if a covered illness makes your return home impossible as planned. * Cancel for Any Reason Clause- Cancel for any reason up to 16 days before departure (March 2, 2017) and receive 50 % of your non-refundable trip back - no questions asked! Coverage is subject to terms, conditions, exclusions and limitations as outlined in the policy booklet, whose terms shall prevail. For those who have an out of province medical insurance policy we can offer the above coverage without medical. The premium is $150 per person, based on double occupancy. Ask us for details! 2. Forty Five (45) days or less, prior to departure: 100% of total cost, including taxes and service charges, per person.